What follows is a highly concentrated, though still developing, synthesis of some important trends in the world economy and inter-imperialist relations—and some of the manifestations of this in the structure, functioning, and posture of U.S. imperialism. Some illustrative, benchmark data are woven in. This is a research essay about changes in global capitalist accumulation, newly emerging relations of strength among imperialist and regional powers, and the force of competitive pressures and tensions. It is about great-power rivalries in a world system based on exploitation. To use an analogy to the complex motions of large parts of the Earth’s crust and upper mantle, this is a discussion of shifting tectonic plates in the world economy: some of their longer-term movements and some of the more sudden and unexpected eruptions. The U.S. remains the dominant, still hegemonic, power in the world. But it is facing heightened economic pressures and growing strategic necessity. Major transformations are taking place in the world imperialist system. Of central importance are shifts in the distribution of global economic power and the emergence of incipient constellations of geoeconomic and geopolitical power—that is, potential blocs of countries with growing capacity to challenge U.S. global dominance. China is a highly dynamic element in this equation. These phenomena are interacting with other contradictions and conflicts in the world, especially the post-9/11 military offensive of U.S. imperialism and its wars in Iraq and Afghanistan, the difficulties it has been experiencing, and military threats against Iran. The significance of new competitive challenges to U.S. imperialism will be missed if they are measured by the degree to which they present themselves as a mirror “counter-hegemony” to U.S. imperialism—militarily, economically, and institutionally. This is not what these challenges embody at this time. And though there are emergent elements of that, they are not concentrated in a single power. No potential challengers to U.S. imperialism are seeking to go toe-to-toe with the U.S. militarily, or to confront it in a major way, in this current conjuncture. But the existence of these challenges (and challengers) means that U.S. imperialism has to look more and more over its shoulder. U.S. imperialism is seeking to preserve and extend its supremacy against a backdrop of eroding economic strength and an increasingly fragile and unstable world financial architecture based on the privileged role of the dollar. And, importantly, this is occurring in a period of dynamic flux in the world system—in which new poles of power are appearing as cracks in U.S. global hegemony widen. The collapse of the social-imperialist Soviet bloc in 1989-91 represented the most significant change in inter-imperialist relations since the end of World War 2. The creation of a new, more integrated geopolitical framework for capital accumulation contributed to the acceleration of a massive wave of globalization. This was facilitated by new technologies and consolidated under the U.S.-led project of neo-liberalism: privatization of government assets, opening up of markets to foreign capital, loosening of regulations over business, cutbacks in social spending and labor protections. Also arising, and unexpectedly, out of the particular resolution of contradictions concentrated in the collapse of the Soviet Union, but involving other factors as well, was a reactionary transnational Islamic fundamentalism that remains a real material and ideological force in the world. - China’s rapid economic rise and power projection in East Asia, central Asia, and other strategic regions of the Third World. - The consolidation of the European Union (EU) as extended into central and Eastern Europe and the creation of a coherent monetary zone around the euro, which, taken together, pose an economic challenge to U.S.-dollar hegemony and represent an embryonic, alternative framework of governance to a U.S.-led imperial order. - An increasingly assertive, raw-materials-based Russian imperialism reaching out to and exerting pressure on Western Europe, countering U.S. moves and promoting its own imperial interests in energy-rich Central Asia, entering into forms of strategic partnership with China across wide swaths of Eurasia, and providing high-technology assistance and advanced weapons to countries like Iran, Venezuela, etc. - The emergence of new regional centers of accumulation in the Third World. This has been principally driven and based on the imperialist-led spread and deepening of capitalist relations of production and new divisions of labor flowing from a more integrated “network capitalism” that involves the geographic decentralization of production facilities, subcontracting, and outsourcing. An important outcome has been that certain dependent and subordinate comprador regimes now have more maneuvering room, especially in connection with rising energy and commodity prices and new geoeconomic constellations of power (like Russia-China). - U.S. imperialism’s continuing quest to secure unchallengeable global dominance for decades to come on a foundation of militarization and increasing financialization of its home base. This involves the explosive growth of the financial sector relative to manufacturing and the economy as a whole, and the proliferation of speculative and destabilizing financial instruments of wealth accumulation. These phenomena are interpenetrating with and influenced by two closely connected developments. There is intensifying global competition for resources, fueled by the major industrial powers’ growing demand for energy, supplies of which are shrinking (whether or not the notion of “peak oil” is scientifically valid), and by rivalry to gain control over these resources. And global ecological stresses are approaching a tipping point beyond which it may not be possible for human society to counter long-term damage to climate and ecosystems, while the short-term effects grow more serious. Environmental stresses are impacting food production and price, population movements in response to natural disasters, and social stability—as in a country like Somalia that has suffered the combined effects of drought and lower crop yields, U.S. backed-invasion by Ethiopia, and institutional breakdown and urban chaos resulting in humanitarian crisis. There are many different levels at which geoeconomic and geopolitical changes are taking place; and particular historical factors are operating. But these are not random trends and events. At the deepest level, what underlies these changes is the nature and logic of the capitalist system: the compulsion to expand and maximize profit to gain competitive edge; the blind, anarchic growth, and the short-term horizons of capitalism; and the inherent tension of a system in which production is highly socialized and globally interconnected, involving the interlinked and collective efforts of thousands and millions of wage-laborers, while the means of producing wealth, the wealth that is socially produced, and even knowledge itself are privately controlled and deployed by a small capitalist class. At the end of World War 2, the U.S. accounted for roughly 50 percent of world gross domestic product (GDP), and an even higher percentage of world manufacturing capacity. This reflected the historically specific outcome of World War 2: the rise to preeminence of U.S. imperialism and the destruction of much of the productive capacity in the imperial-industrial heartlands of Western Europe and Japan. By 1960, the U.S. share of global GDP had fallen to 30 percent; today it stands at some 21 percent. The relative economic decline of U.S. imperialism dates back several decades—1968-71 is a kind of turning point, marked by the European challenge and abandonment of the gold-U.S. dollar standard. The emergence of Japan as an industrial-financial competitor, and major exporter of capital, in the 1980s marked another kind of turning point. But what is different today is something even more seismic in magnitude and suddenness: China’s rise in the imperialist world economy. In 1976, socialism was overthrown and capitalism restored in China (following the death of Mao Tsetung and the arrest of the so-called “Gang of Four”). The phrase “China’s rise” is both descriptive and analytic. China is not an imperialist power, but it is a growing and competitive world economic and geopolitical power in the world imperialist system. The sheer size of China’s rapidly growing economy; its central place in the global accumulation process, as a destination of imperialist capital and axis of world manufacturing; its massive export earnings that have contributed to China’s central bank becoming the world’s largest foreign holder of dollars; China’s regional impact in East Asia and global reach (into Africa and South America, for example); and its rapidly expanding military capability—all this is having profound effects on world economic and geopolitical relations. And for reasons that need to be explored further, the baton of leadership for an East Asia-based challenge to U.S. dominance in the region seems to have passed from Japan to China. 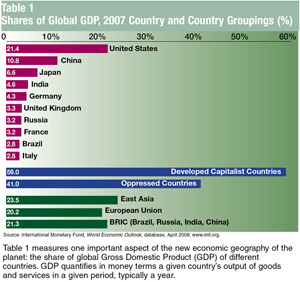 Table 1 measures one important aspect of the new economic geography of the planet: the share of global Gross Domestic Product (GDP) of different countries. GDP quantifies in money terms a given country’s output of goods and services in a given period, typically a year. From a Marxist perspective, the GDP measure is flawed and incomplete: it covers over the reality of exploitation, issues of equality and inequality, the environmental costs of production, etc. But this measure is useful for getting some sense of economic performance, the distribution of global economic strength, how that has changed over particular periods, and how this might influence competition and rivalry. Table 1 provides a useful portal into some important trends in the world economy. The U.S. is still the single largest economy in the world capitalist system. But its economic supremacy is being eroded. Some time in the early 2000s, China eclipsed Germany to become the world’s third largest economy. Now it has overtaken Japan. And among the biggest five economies, China’s growth rate, 9 to 11 percent annually over the last 20 years, ranks first, with India not far behind at 8 percent in recent years—while the U.S., Japan, and Germany have been growing at 2 to 4 percent. China’s sustained high rate of growth is unprecedented in the history of capitalism. Moving on to another important measure of strength in the world economy: capital export, or capital that is invested by firms from one country in another country. Table 2 focuses on a key and very large component of capital export, foreign direct investment (FDI). This outward direct investment is capital invested by firms from one country in production facilities (like factories and mines) in the receiving country. Five countries—the U.S., United Kingdom, Japan, Germany, and France—account for 50 percent of the stock of outward direct investment. In 1960, the U.S. alone held almost half of the world’s stock of outward foreign direct investment; its current share of world investment is in the range of 20 percent. 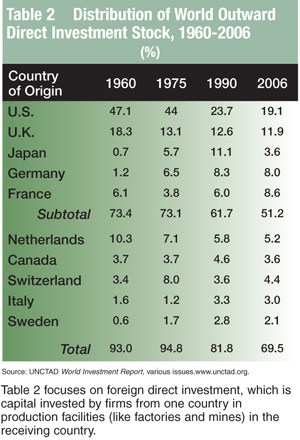 Between 1960 and 1985, Germany and Japan substantially increased their share of accumulated outward world investment. Japan’s share continued to rise through 1990 but then declined sharply in response to internal slowdown and the East Asia financial crisis of 1998. The European Union (EU) countries have maintained their share of the stock of total world outward direct investment, while the U.S. share has declined. And the EU is now the largest source of outflows of direct investment capital. All this takes on greater significance in a context in which the EU in the last few years has become a much more cohesive and integrated bloc with a currency that is vying with the dollar internationally. The EU has actually overtaken the U.S. as the biggest investor in Latin America. But the U.S. is still the single largest exporter of FDI. And it is, far and away, the single largest investor-country in Latin America. With NAFTA, it has welded a tighter regional network that also serves as a platform for world investment and rivalry. These are all indications of a reduced international economic gap between the U.S. and other imperialist powers and competitive positioning. About 15 percent of the accumulated stock of foreign direct investment (FDI) is now in the Third World. But outflows of FDI to the Third World on a year-to-year basis have been rising as a proportion of total annual flows: in the range of 25 to 35 percent of the world total in the last ten years. Flows of capital to countries in the Third World have also been quite volatile at times—as in the movements of imperialist capital leading up, and in response, to the East Asia crisis of 1997-98. Most foreign direct investment by imperialist countries goes to other imperialist countries. This has to do with several factors: the productive forces and national markets of the imperialist countries are more highly developed and afford a wider range of investment possibilities than in many Third World countries; investments often involve expensive buyouts, mergers, and takeovers of large enterprises; there is rivalry among imperialist corporations and powers to gain strong market positions inside highly developed national imperialist and continental markets; and, at the same time, some of this investment, like oil refineries, is linked to related investments in Third World countries. On the other hand, a growing proportion of FDI in manufacturing is going towards the Third World, especially China. Rates of return on FDI in manufacturing in the Third World are generally, and often considerably, higher than in the developed capitalist countries. And overall profitability of investments in the Third World is influenced by the existence of subcontractoring networks that thrive on intense superexploitation—for instance clothing and parts and supplies produced in sweatshops. The so-called BRIC countries—Brazil, Russia, India, and China—represent 21 percent of the world economy. To be clear, this is neither an economically integrated bloc of countries like the European Union, nor an alliance of states (and one of these BRIC countries, Russia, is an imperialist power). Actually, the term was invented by the Western financial and investment community to designate large, high-growth and high-profit markets. Nonetheless, there is some limited analytical validity to grouping these countries together: they are rapidly growing “emerging markets” for productive and financial investment; they are playing an increasingly important role in the world economy; they are either major producers or consumers of energy; and some are collaborating with others in various and significant ways, especially Russia and China. China and India, on the other hand, rely heavily on imports to meet their energy requirements. But China’s state-controlled energy companies are becoming major international players, as evidenced by the 2005 attempt by the Chinese oil company CNOOC to acquire the U.S.-based Unocal Corporation (which held extensive oil reserves in North America and Asia). Energy producing countries in the Third World like Brazil, Venezuela, Saudi Arabia, Nigeria, and Iran have not broken out of structural dependency on the imperialist world market—in terms of reliance on foreign technology; refining, marketing, and transport; etc. ; extreme vulnerability to fluctuations in price; and so forth. Oil- and energy-led development continues to have profoundly distorting effects on agriculture, urban-rural relations and social structure, and exacts a high human price. Venezuela under Chavez imports 70 percent or so of its food, while the landed oligarchy remains largely in place. The shantytowns in Caracas are still home to a huge concentrations of urban poor, many locked out of the formal economy.8 The “other side” of Brazil’s ethanol boom is the hundreds of deaths and tens of thousands of injuries for the plantation workers harvesting the sugar cane from which the fuel is made (and U.S. companies like ADM and Cargill are major investors in Brazil’s agro-energy sector). But for the local ruling elites, real economic power is concentrated in these spheres of oil, natural gas, and biofuels production. And a certain confluence of developments has afforded some dependent Third World regimes greater maneuvering room. U.S. imperialism has focused attention on its wars for greater empire in Iraq and Afghanistan. The steep, though by no means permanent, rise in raw materials prices has generated high earnings and some financial clout. And the fact that a rising economic power like China is pursuing its own competitive global agenda and has accumulated substantial financial resources to do so means that a country like Venezuela can counter certain U.S. pressures by turning to China for loans and credits. The changing economic geography of the planet involves a major dispersion (globalization) of productive capacity. But “the world is not flat”—nor is it flattening. Advanced productive forces are still lopsidedly concentrated in the rich countries. GDP per capita in the rich countries is still more than five times higher than in what the International Monetary Fund calls “middle-income countries,” like Brazil, Mexico, and Turkey. GDP per capita in the rich countries is more than 19 times higher than in low-income countries, such as most in sub-Saharan Africa.9 Vast differences in wage levels and huge swaths of humanity subjected to brutal conditions of super-exploitation trace out and underscore the oppressor-oppressed nation divide. Globalization is having contradictory effects. It is resulting in higher levels of industrialization in the Third World, and income gains for sections of middle classes.  But this is not overall equalization. In this phase of imperialist globalization, one of its most significant differentiating effects has been to increase unequal development among and inequalities of wealth within Third World countries. China’s income distribution is among the most unequal in the world—right up there with that of the United States and Brazil. The changing economic geography of the planet is also affecting world agriculture—to devastating and unequal effect in the Third World. Imperialism is transforming national systems of agriculture into globalized components of transnational production and marketing chains detached from local need—that is, food is grown more and more for export, not to feed people locally, or land is taken out of food production. Where, historically, food production has been at the foundation of the economies of most of these countries, increasingly, agriculture is becoming less “foundational” to many national economies of the Third World. Food production has been swept into the vortex of speculative commodity and financial markets at the same time that imperialist-led agro-industrial cultivation of biofuels displaces food crops. Basic food staples are no longer being produced in adequate supply in many parts of the Third World—while the forces of world competition, imperialist control over new agricultural technologies, and the vagaries of world price further undermine food security. And so in early 2008 a global food crisis unlike any experienced before in modern economic history exacts, and continues to exact, a terrible human toll in large parts of Africa, Asia, and Latin America. This too is an expression of the deep divide between oppressor and oppressed nations. Accumulation of capital. The production of surplus value (the source of profit) based on the exploitation of wage labor; and the investment and reinvestment of profit by competing capitals on an expanding, cost-cheapening, and technologically more advanced (and productive) basis. This is a process, as Marx said, of the accumulation of wealth at one pole and misery and agony of toil at the other. Capital export. The outward flow of investment capital from one country to another. Capital export consists of foreign direct investment in an existing enterprise of the host country or the building of new facilities (as when GM opens a factory in China), and other forms, such as bank loans, investments in stocks and bonds, etc. Gross Domestic Product (GDP). A measure of a given economy’s production in a given period, usually a year. GDP includes goods and services. Various systems of price calculation allow for international comparisons of GDP. Hegemony. The power over the world economy exercised by one state in a particular historical period through economic, political, military, financial, and cultural means. Imperialism. The stage of development of capitalism as a world system of exploitation reached in the late 1800s. We live in the age of imperialism. Imperialism involves five key features: a) the dominance of monopoly (large, highly centralized, and powerful units of ownership and control) over the organization of production and distribution; b) the merging of banking and industrial capital into huge financial blocs; c) the central importance of the export of capital to overall profitability; d) the economic division of the world by large corporations, cartels, and the great powers into spheres of influence; and e) the complete territorial division of the world by the imperialist powers into colonies, neocolonies, and zones of influence, so that struggle between the leading imperialist powers will involve the re-division of the world. Transnational. Refers to activities, movements, and organizations that span international boundaries. General Electric is a transnational corporation: with a home base in the United States, it operates in many different countries.